Creative Bloq delivers a daily dose of design tips and inspiration. They cover 3D, graphic design, illustration, web design and more. Visually is a one-stop shop for the creation of data visualizations and infographics, bringing together Marketing Gurus, Data Nerds and Design Junkies based on shared interests. Fotor is an easy to use online photo editing service. Crop, resize and add effects, or for the more advanced user; merge multiple exposures into and HDR image. You can also create collages and photo cards. Free - no registration required. Webdesigner Depot is a popular blog about web design and development. They cover news, tutorials and hot topics such as responsive design, usability, typography, freelancing and much more. Color Picker is an easy to use site that will allow you to pick colors using a palette similar to Adobe Photoshop. Colors can be output in HEX, HSB, or RGB format. Slideshare is a community for sharing presentations. In addition to presentations, the site supports documents, PDFs, videos, and webinars. Slideshare content is easily shared on blogs, Facebook, LinkedIn, and Twitter - with coworkers, family, and friends. 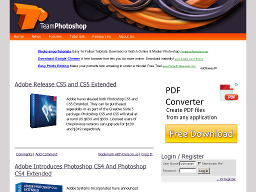 TeamPhotoShop.com An excellent resource site for anyone wanting to learn more about using Adobe PhotoShop. The site has articles, tutorials, tips and tools related to PhotoShop usage as well as a helpful discussion forum. 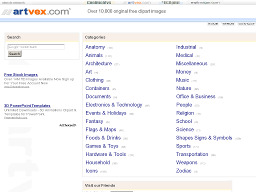 Artvex.com Offers over 10,000 original fr'ee clipart images in 32 categories for non-profit personal use. Site isn't fancy but has some unique content. NationMaster.com A massive central data source of country stats compiled from a variety of sources. Generate statistical maps and graphs on any topic from crime and the internet to mortality and taxation. 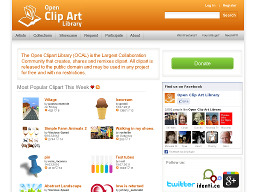 OpenClipArt.org An archive of clip art that can be used without payment by anyone. All graphics submitted to the project are placed into the Public Domain. BrowserShots.org An open-source online service that makes screenshots of your web design in different browsers. 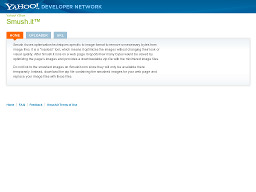 Provides screenshots for various Mac, Linux and Windows based web browsers. 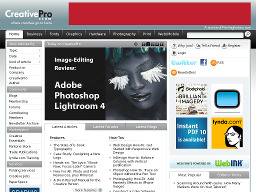 CreativePro.com Offers a vast collection of information and resources for print designers, photographers, illustrators, Web designers and webmasters. Sumopaint Is an online image editing software that allows you to create, open and edit images. Completed images can be saved to your account online or to your local computer. Slick and easy to use. Smush.it Optimizes images by removing unnecessary bytes from a file without changing its look or visual quality. Run Smush.it on a webpage and get a report on bytes saved and a downloadable zip file with optimized images.